This Demonstration shows the effects of fluid height and density on hydrostatic pressure. 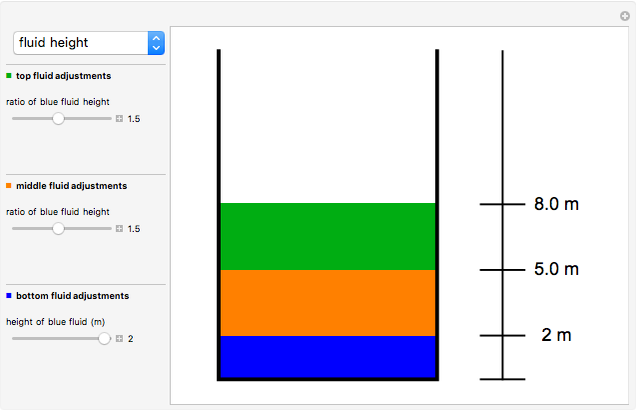 You can vary fluid height and density of each fluid with sliders. This results in a total hydrostatic pressure profile that indicates the gage pressure at different heights in the container. 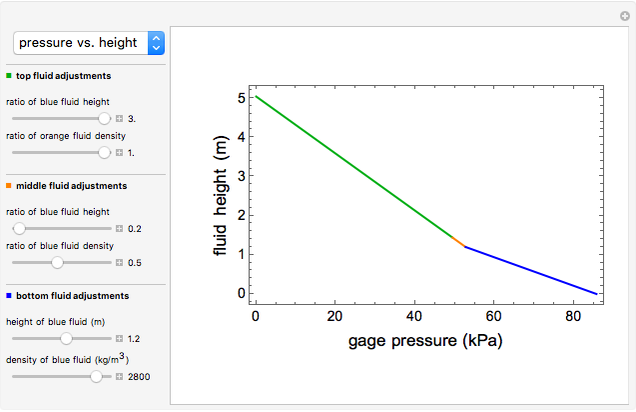 where is hydrostatic gage pressure (kPa), is fluid density ( ), is the gravitational constant and is fluid height (m). 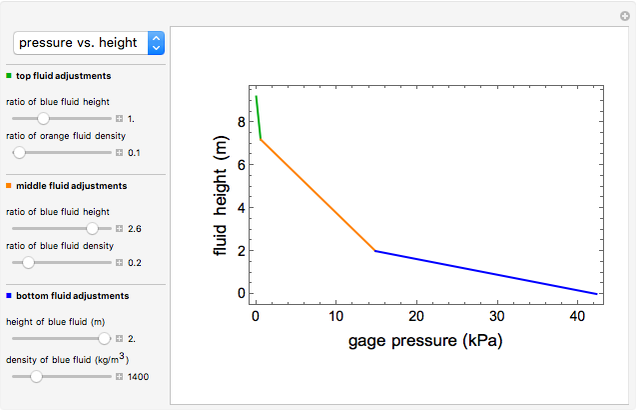 Plotting hydrostatic pressure versus height for each fluid generates a pressure profile for the container. Jon Barbieri "Pressure Profile for Column of Multiple Fluids"